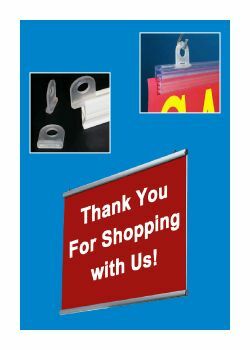 Retailers use ceiling banners and signage in many places throughout their stores, from the entrances to the aisles, all in an effort to make the consumer shopping journey clear, informative and profitable. 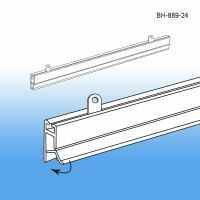 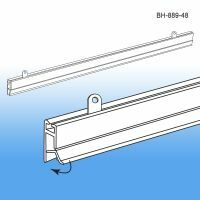 These banner hanging components and accessories help to display signage that indicate departments, sales, products, marketing messages, promotions, safety messages, etc. 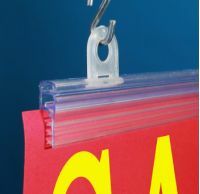 Clip Strip Corp. offers a full line of banner hangers and sign hanging components that make installation fast and simple. We carry brushed aluminum, clear and white PVC hanging devices, and all the accessories needed for retail signage success. 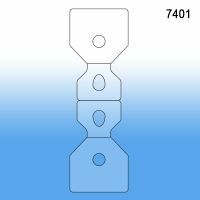 Minimum quantity for "Banner Corner Hang Tab with Holes, 7401" is 10. 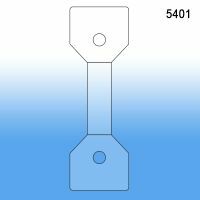 Minimum quantity for "Banner Corner Hang Tab with Loops and Holes, 5401" is 10. Minimum quantity for "22" Grip-Tite™ Banner Hanger, BH-889-22" is 10. 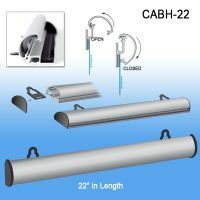 Minimum quantity for "22" Classic Aluminum Banner Hanger, CABH-22" is 1. 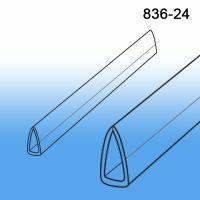 Minimum quantity for "24" Grip-Tite™ Banner Hanger, BH-889-24" is 10. 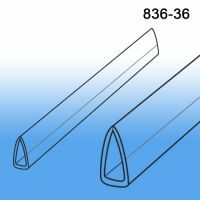 Minimum quantity for "36" Grip-Tite™ Banner Hanger, BH-889-36" is 10. Minimum quantity for "24" Classic Aluminum Banner Hanger, CABH-24" is 1. 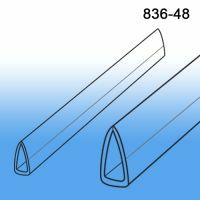 Minimum quantity for "48" Grip-Tite™ Banner Hanger, BH-889-48" is 10. Minimum quantity for "36" Classic Aluminum Banner Hanger, CABH-36" is 1.